It makes no sense, if you assume that Mark Dayton is making any kind of decision at all. So it only makes sense that he’s not making the decisions. Mark Dayton is a marionette. …the 43% of Minnesota voters who don’t think very critically about politics didn’t have any of their assumptions challenged. Let’s face it; Dayton is less a governor than a delivery man for an agenda set by the special interests that helped him into office; the public employees unions, deep-pocketed liberal plutocrats, and the non-profits that feed off the entitlement culture. Progressivism Desperately Needs A Win: It’s been a horrible year for big institutional progressivism. The Tea Party tsunami in 2010 has rocked “progressive” government in former strongholds like Ohio, New Jersey, Michigan, and even New York and California, where the likes of Andrew Cuomo and Jerry Brown have become spending hawks all of a sudden. And Wisconsin – the home of LaFollette, the buckle in the public employee union belt – was a gut-shot for progressives. If the progressives’ “support government at all cost” creed can crumble in New York, California and Wisconsin, where is it safe? Minnesota Is Progressivism’s Last Stand: The prognosis for progressivism isn’t good. Sure, the GOP suffered setbacks in 2006 and 2008 – precisely because the Bush Administration and its attendant GOP caucuses didn’t act like a conservative government. The economy is making progressive entitlement programs unsustainable – and, even moreso, undercutting the idea that they must be sustained at the cost of the viability of the sector that pays the taxes. The conservative parts of the country are growing; the liberal ones are largely shrinking. And with even the biggest showcases of “progressivism” defecting from the gospel, “progressivism’s” big stakeholders – unions, non-profits, plutocrats and the like – are faced with a stark reality; they need a win to stanch the bleeding. Those stakeholders put him in office. They will get their money’s worth. And as the Administration itself telegraphed weeks ago, they don’t care who they hurt to get it. Government employees? Entitlement recipients? Consumers of “services” like jobs at Canterbury? All just eggs to be broken for the greater omelet. So are you a citizen, or are you an egg? 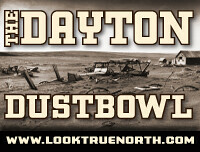 This entry was posted in Dayton Dustbowl and tagged Shutdownpocalypse 2011 by Mitch Berg. Bookmark the permalink. I agree with this — the comparison I’ve made at my place is that Dayton was supposed to be like the Henry Blake character on M*A*S*H, asking Radar O’Pogemiller what he’s signing, but not really being especially concerned about it. At what point does abject failure become so egregiously obvious that even the faithful have to look at each other and say “huh”? Back up a square. Whose idea was the Dayton candidacy? Was it Dayton’s search for notoriety? Or did these special interests come to him, uncertain about whether Kelliher or whoever the nominee was would be liberal enough? I say I’m a citizen, but the Governor believes I’m an egg. I mean, really, who but an egg could believe that the shutdown isn’t wholly owned by Governor Dayton? Well, I guess people who don’t know anything at all about the situation. Alright, maybe people who really, really, really want to believe it’s not his fault. OK, we have: eggs, the ignorant, and the willfully ignorant; but that’s about it. it’s only a matter of time before Governor Prettnor-Solon gets sworn in. Matt Entenza and Tom Horner are to blame for getting Dayton in. Some day we’ll find out what Entenza’s deal was. He spent millions of dollars and never attacked Dayton. If he were running to win, he’d have gone after Dayton, but he never did. In fact, right before the primary, Entenza attacked Kelliher. No, it was Entenza’s wife’s money. who but an egg could believe that the shutdown isn’t wholly owned by Governor Dayton? A DFL droid. Or a Star Tribune editor. Pardon the redundancy. Are we losing the battle of words? Just now on KTSP TV news (probably an ABC report). “…..insisted on no new sources of revenue, what Republicans call ‘tax hikes'”. Oh….and this is the same station (usually my preferred source for local news) that refers to changing the definition of marriage as “marriage equality”. This is the same Mark Dayton that was not only concidered the “Worst Senator” but was also thrown off the DFL convention floor!!!!! In a frighteningly-large portion of this state, a chainsaw sculpture of Ahmedinajad with a (D) after its name would easily poll about 35%. That may be part of the problem. Maybe there is a glimmer of hope for the MSM. Pat kessler sounded positively miffed last night as he reported that Dayton’e office wouldn’t release its plans for the shutdown. Will some hotshot investigative reporter climb all over the story of government secrecy? I’m not holding my breath. Dayton shot himself in the left foot with the shut-down since it’s mainly his constituency that’s being hurt. No wonder he wants to keep his plan for shooting his other foot secret. Mad Mark could always get Medicare to buy him a Hoveround after shooting that other foot. He’d likely get a DUI driving it though. Then he’d have to pardon himself. Mark wouldn’t need a Hoveround because AFBM will still carry him (at least while he’s in closet – I mean, office). Who is paying for the Governor’s road trip around the state? Is he using a state vehicle? Where is the gas coming from? He should be in his office until this is resolved. No A/C, minimal lights. He is not authorized to spend anything more. He’ll just get his money from his A4BM slush fund. My question would be who is his chauffeur? State Patrol? I have my doubts that he’s physically or mentally competent to drive himself. I agree with your assessment of Kessler’s reaction. Frank and Amelia at least reported it on the 10 p.m. DFL propaganda hour, but where it goes is anybody’s guess. On a somewhat related note; a business acquaintance of mine claims that both Frank and Amelia are conservative GOP supporters. He maintains that both of them have siblings or some other relative that are small business owners that are being killed by Obumbler’s economic stupidity. I told him that I doubted the accuracy of the info, but stranger things have happened. Can anyone shed any light on this? Law of unintended consequences – can’t buy a lottery ticket, lost revenue for the state. JPA: even more unintended consequences: None of the 39 beer brands owned by Miller-Coors can be sold anywhere in the state, on or off sale. LOTS of tax revenue lost.